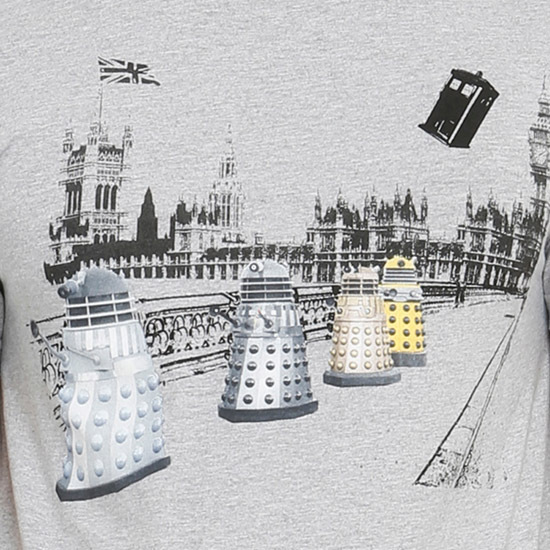 The Angels may have the phonebox but the Daleks have the UK on the Doctor Who Daleks In London T-Shirt. 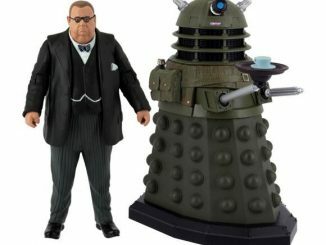 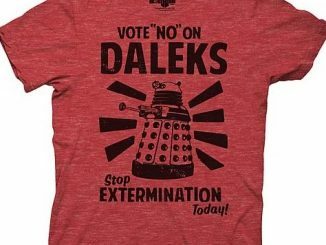 Four colorful Daleks are on a mission to exterminate all Whovians in the United Kingdom. 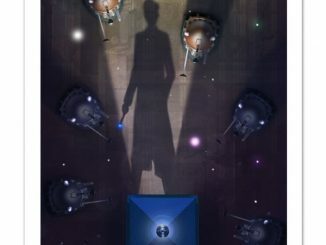 Fortunately, the TARDIS has appeared in the sky, which means the Doctor has arrived to save the day. 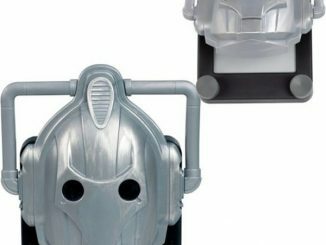 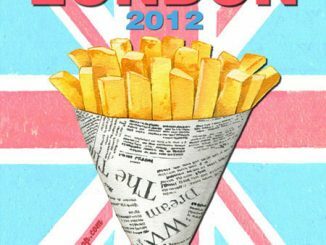 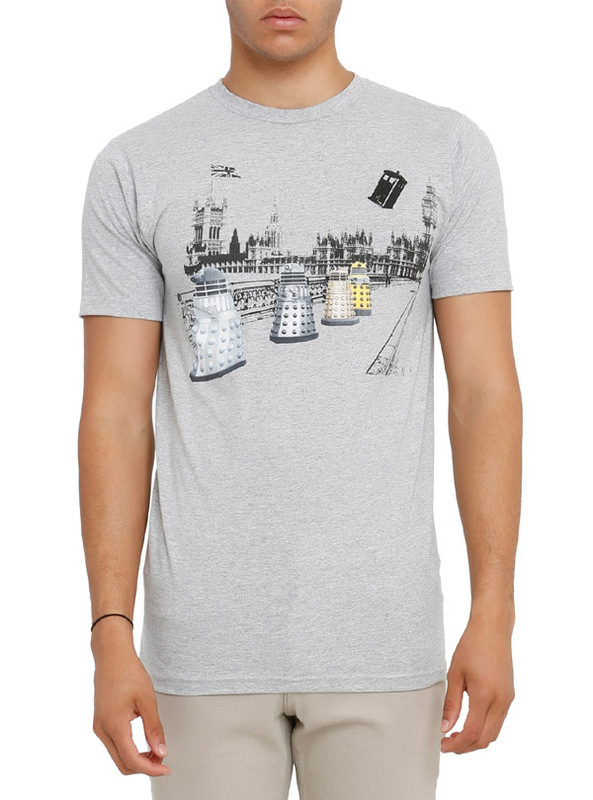 The heather grey tee is 90% cotton and 10% polyester, with photos of Daleks on a sketch of London, creating an eye-catching piece of wearable art. 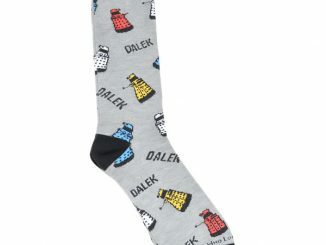 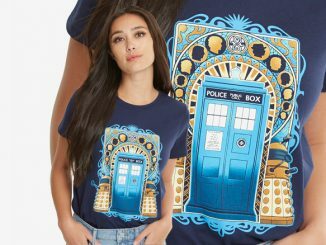 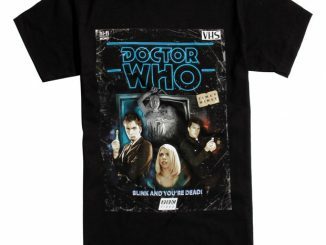 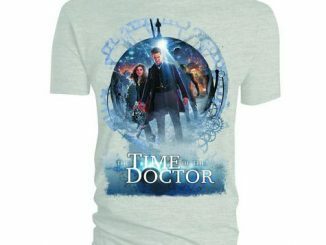 The Doctor Who Daleks In London T-Shirt is available for $16.40 at Hot Topic.